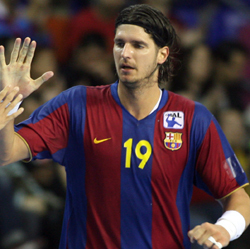 17.03.2008 - Szeged did what Celje did in 1997: the Hungarians have beaten Barcelona in the Palau Blau Grana. 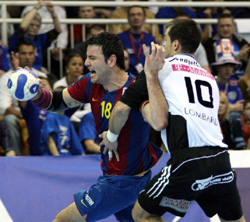 25.02.2008 - Barcelona won by five goals in Szeged, but they had to fight hard for the valuable away success. 05.02.2008 - Nenadic and Xepkin join the Catalonians during the long break. The young Serbian and the Barca legend have already debuted in the team.